Kigali (Agenzia Fides) - Following a government directive, eight thousand churches have been closed in the last seven months. The decision to reduce the number of places of worship in the country, both Christian and Muslim, provides for the closure of churches that do not have sufficient hygiene and safety requirements to continue to carry out their activities. This is what is reported by the pro-government agency Kigali Today Press. The accusation that is being addressed by Rwandan (Catholics and Protestants) Christians, who account for 90% of the population, is that the government uses the new law to justify the closure of churches and mosques. "Closing the churches, establishing the criteria to become ministers of worship, is really a proper solution to the problem of religion in Africa?" Intervenes Fr. Donald Zagore, theologian of the Society of African Missions, who explains that it could be a solution but it will be necessary to pay attention to the impacts that such a decision could have on the fundamental nature of religious dynamics. "Religion has a different mode of functioning compared to any political party or association. To put order in disorder is one thing. Another thing is to consciously or unconsciously suppress the prophetic character of religion, which avoids any form of logic and academic imperative. Academic and intellectual formation is certainly necessary, but in religion it is not a prerequisite. The only precondition is faith. God calls to his service, men and women who are not necessarily intelligent or graduates, but above all men and women convinced of their faith and ready to live and witness it even at the cost of life itself. We should also ask ourselves - continued Zagore - if when they establish the criteria of theological formation, as desired by the Rwandan government, they will stop making religion their activity. The key question is why is trade in religions so popular and profitable in Africa? Even if religious impostors remain a danger that must be fought, the real problem is those that are cheated. Why are our people abused and religiously robbed?" Religious freedom is inserted as a right in the Rwandan Constitution in article 37 of 2003 but, according to World Monitor Watch, any reference to the Christian religion has been removed from the preamble of the Constitution, during the commemoration of the genocide no priest or pastor can intervene (unless the event is organized by a church) and in public offices no meetings are allowed to gather in prayer. To make things clear, Father Donald comments, "we need to reflect on two main points. On the one hand we must recognize that our people are hiding behind these 'cheap' pastors with the hope of being helped to eliminate the abuses of their politicians and their inexhaustible thirst for power that still makes people languish in misery". "Furthermore, the priest continues - there is an African conception of God and of religion that is not too healthy and deserves to be purified. In the dynamics of spiritualism, sometimes too emotional, God is interpreted as the exclusive source of miracles and the creator of solutions. This conception makes God not far from being compared to a charlatan. An African must realize that God is not a magician or a marabou, and despite his omnipotence, God cannot change the lives of men if they too do not make their contribution, they will continue to live and to be filled with ideologies and continually 'robbed'. The key to salvation is the birth of a mass-ruled and hermeneutically-organized African religious conscience", concludes Father Zagore. 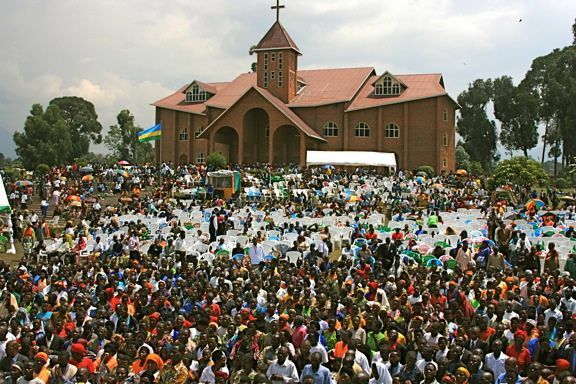 According to government sources, the authorities decided to close the places of worship following the construction of too many churches by inhabitants, without calculating the high fragmentation of the villages in Rwanda that are populated by a small number of people. Very often, these villages are many kilometers away from each other and, due to the lack of infrastructures that connect the centers, each country builds its own church to prevent citizens from having to walk 20 or more kilometers to go to Mass.